The airless bag to prevent your sagand improve your ride! For trucks with campers, trailers,commercial bodies and all other loads..
(the world’s first and only “airless airbag” suspension system for trucks and vans)are manufactured from an advanced high grade, closed cell polyurethane foam; ideal for the tough truck underbody environment. The product underwent testing in extreme conditions ranging from blistering US desert summer days to the frigid Canadian winter nights. Combining heavy loads with extreme terrain and temperature conditions over eighteen months of testing ensures their performance in any similar conditions our customers might encounter. 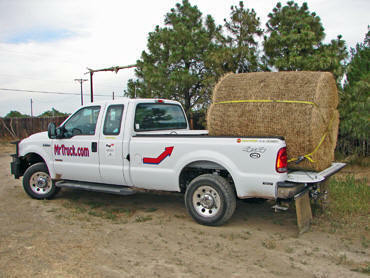 We loaded a 1600 lb big round alfalfa bale on the rear of my truck. SuperSprings compressed to touch the rear factory bumper but nowhere near the front bumper pad. Room for another bale. Does your headlights see the stars? Stop the sagging and improve handling. As truck manufactures cut costs, I’m seeing more of them cut the rear stabilizers that used to be standard or part of a tow/camper package. 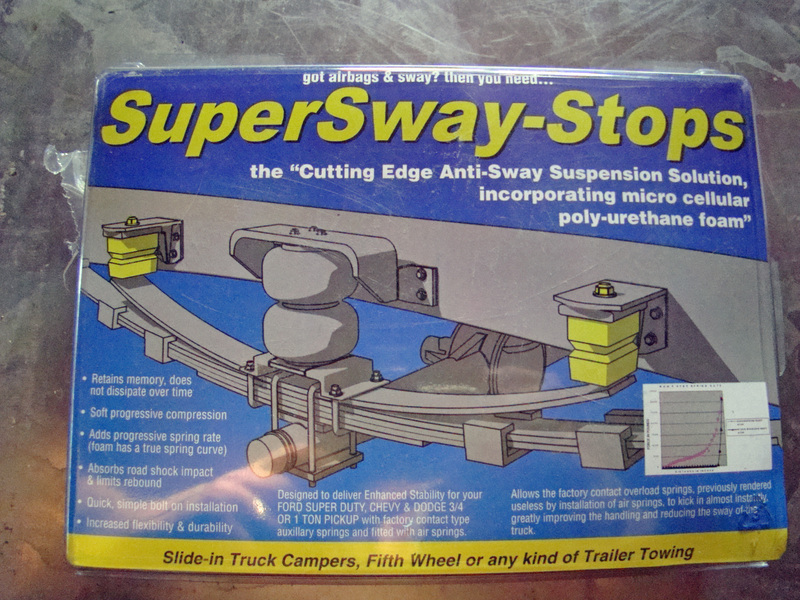 Empty trucks needs anti-sway rear stabilizers for cornering and better control. SuperSprings can do that for you as well as level out your loaded truck. Truck manufactures are also making their rear leaf springs longer, which gives you more sag and lean on curves as well as more twisting of the leaf springs. “SuperSprings are the best torsion stabilizer overload truck springs I’ve tried,” better than helper springs and air bags. for the 2008 Fords. 2009 Ford F150 will have 6 inch longer rear springs. 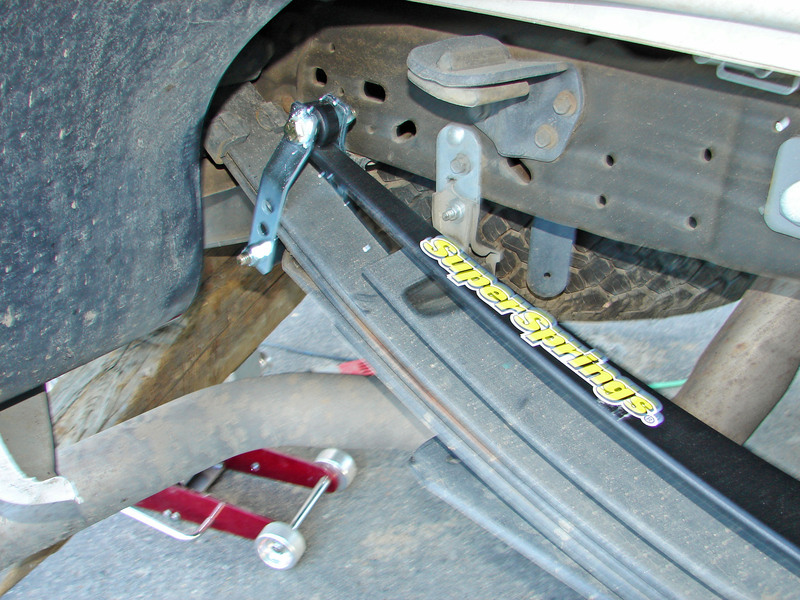 SuperSprings are easy to install, just jack up your truck by the frame and drop on. Thirty minute install, with just hand tools. Below is install on 2006 Ford F250 with factory overloads. If you’ve read my truck accessory articles before, you know I like extreme tests. 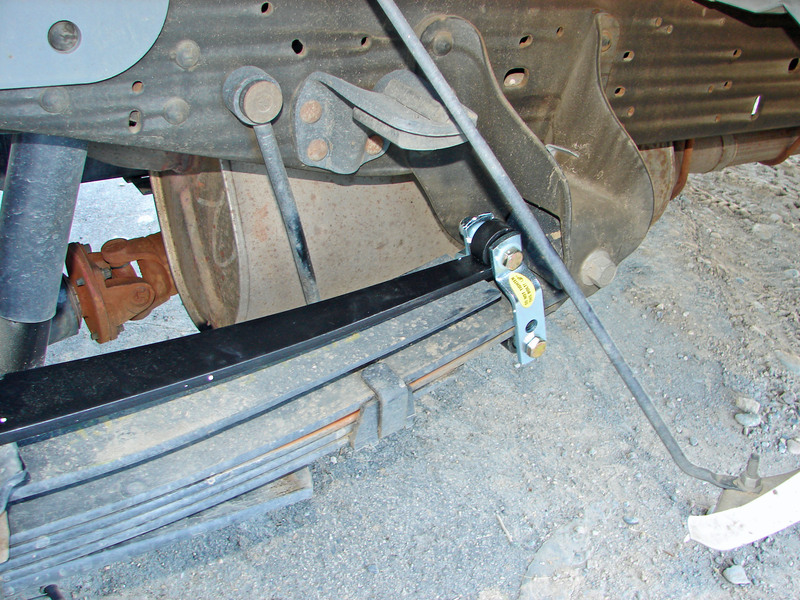 I’m trying out SuperSprings overload and stabilizing leaf springs, using a friends 10′ camper and his 1/2 ton truck. Of course we should be using a 1 ton dually but that wouldn’t be an extreme test would it. 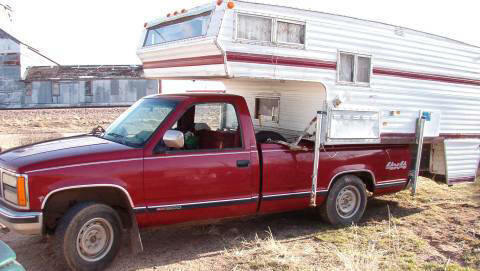 And then to make the test even more dramatic, we only attached the slide in overhead camper 2/3’rds in the truck bed. Now we have some leverage to put aftermarket springs to the test. Order here. The US Border Patrol now uses SuperSprings on their Ford & GM HD pickup trucks from San Diego CA to Corpus Christi TX. Guarding our border and driving over rough open terrain to enforce US law. Protecting us from drug dealers and terrorists. Of course the truck dipped and bucked going down the road. Our test truck was a 1990 GMC 1500 (1/2 ton) with 221,719 miles, so the factory springs are well broke in. 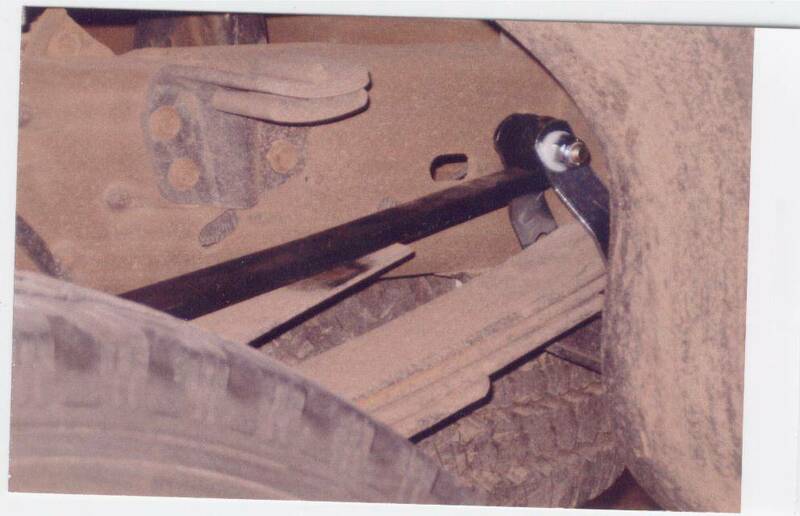 GM was the first to stretch out the rear leaf springs for a better ride. Ford did it to the Super Duties in the 99 model and Dodge added 3 inches to their HD 2500/3500 rear leaf springs in 2003. I remember back in the early eighties when the compact trucks, (Ranger, S10, LUV, Toyota) stretched their springs for a dramatic improvement in the ride. These longer springs do improve the ride, but that extra spring travel from longer factory leaf springs allows the trucks to move more. This makes a big difference with a loaded truck as to how much farther the truck will lean on curves, and bounce out of ruts and washboards. I used a slide-in camper with the test truck because that’s the easiest place to notice the lean. Campers attract side wind like a magnet. The older trucks with a camper didn’t lean much, but now Elvis would be proud with all the hip action from a newer loaded truck! And you know if the rear is moving around the front is trying to overcorrect, so if you don’t get sea sick you do get tired of over steering. Do you think all that motion commotion is hard on bearings, springs and tire sidewalls? (leaf springs stacked on top of each other in different lengths) and allows it to self adjust and flex with the factory spring when there’s no load. This keeps the soft empty ride of the newer trucks with longer rear factory leaf springs. Manufactured in Texas and assembled in California. News Bulletin The new hydro formed frames are coming to a truck near you. (see Dodge frame article) All the new Dodge trucks have them, the new 2004 Ford F150 will have a hydro formed frame. GM has in on the front sections of their trucks and most SUV’s are going to this new boxed thinner hydro form frame. 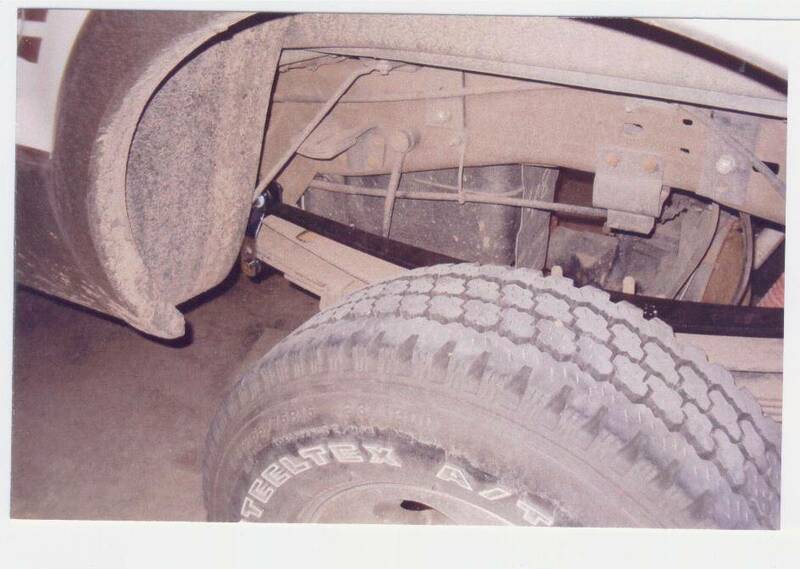 2007 GM trucks have boxed the rear frame section. The problem is attaching accessories to this new frame. A boxed frame needs a saddle with long U-bolts or if you drill holes, you have to fill the space inside the frame where the bolt goes through to keep the thinner walls from collapsing. So how do you attach air bags and overload springs without the hassle? One answer is on this page, SuperSprings! They attach to the truck springs not frame. 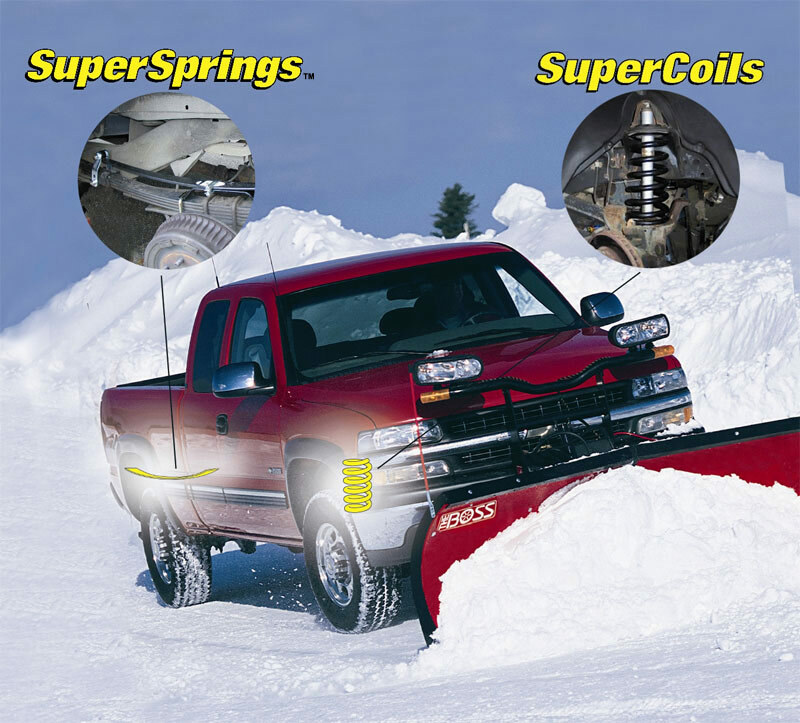 No drilling or welding and you get the extra spring capacity to keep your loaded truck level and under control as SuperSprings also works as a stabilizer for improved handling. nasty habit of wheel hop. 5-year Limited Warranty! I have been recommending air bags to slow the spring travel reaction down. 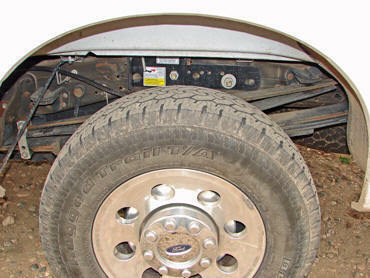 But aftermarket air bags as well as the rubber bumper pads for overload springs are drilled and bolted to the side of the C-channel truck frames. The truck manufactures are adding more boxed hydro formed frames to their truck lineup which aren’t to be welded or drilled on. So adding air bags is proving more difficult. Compact trucks as well as 1/2 tons and above are going to the boxed frame. All this is making it harder to modify the rear suspension. But I’m always looking for a better solution. Some aftermarket overload springs can help, some of them will make your truck ride rougher when empty, though and we have come to expect the better car like rides from modern trucks. Other overload systems don’t give you the anti-sway benefits of SuperSprings. 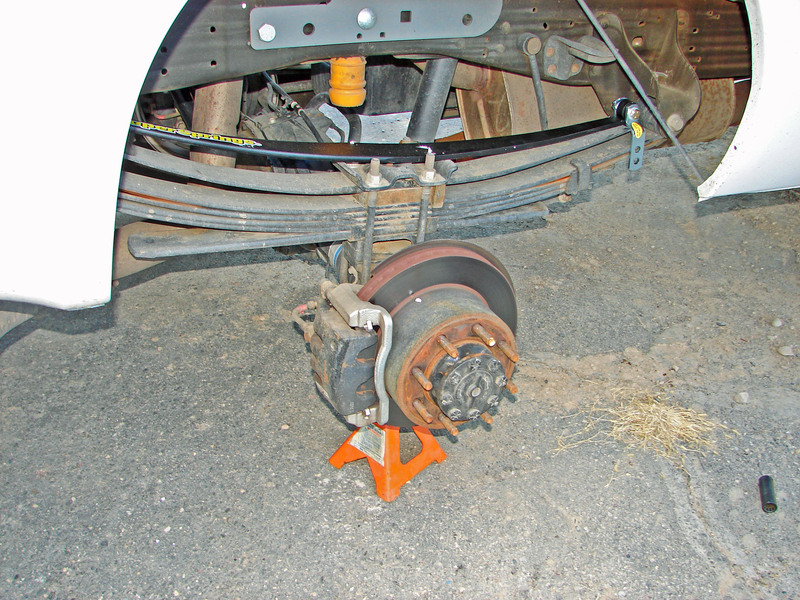 A common correction for leveling a trailer, is weight distributing hitch. Which is good for leveling a rig and transferring weight to all the axles. But taking weight off the rear axle of your truck can cause traction problems when you need traction to get you truck back in line during an evasive maneuver. SuperSprings with a good WDH with built in sway control is the best combination for towing. “These springs are so easy to install it’s unreal. 20 minutes. Didn’t take the tires/wheels off. All I have to say is that if you’re pulling a LQ gooseneck, you need these springs!!! The truck handles much better, even though it’s a new F350, and it doesn’t squat under the load at all. Amazing. Thanks for a great product.” Deb M.
SuperSprings does give you the best of both worlds without drilling holes is SuperSprings. SuperSprings is a single leaf spring that’s tapered on each end and attached to the original spring with a shackle that rolls and self-adjusts with your spring movement. It of course looks too simple to work, but it does work. The tapered ends allow more movement to not interfere with the soft empty ride and the wider part as you go to the middle of the spring, gives you the support under a load. It even works as a stabilizer, which surprised me. 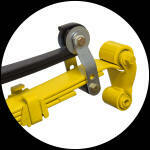 They are easy to mount on any truck size and SUV with rear leaf springs. We mounted the first SuperSprings to the right side of the test truck and drove through some pot holes with the the leveraged oversize camper. You could clearly see the difference in bounce and spring travel the right side didn’t move much, but the left side without the SuperSprings advantage bounced like a basket ball, I’m glad I wasn’t driving the truck, but someone has to take the pictures! SuperSprings superbly controlled the movement of the truck’s factory springs, are self-adjusting and no air, or air tank needed, no drilling or welding either. 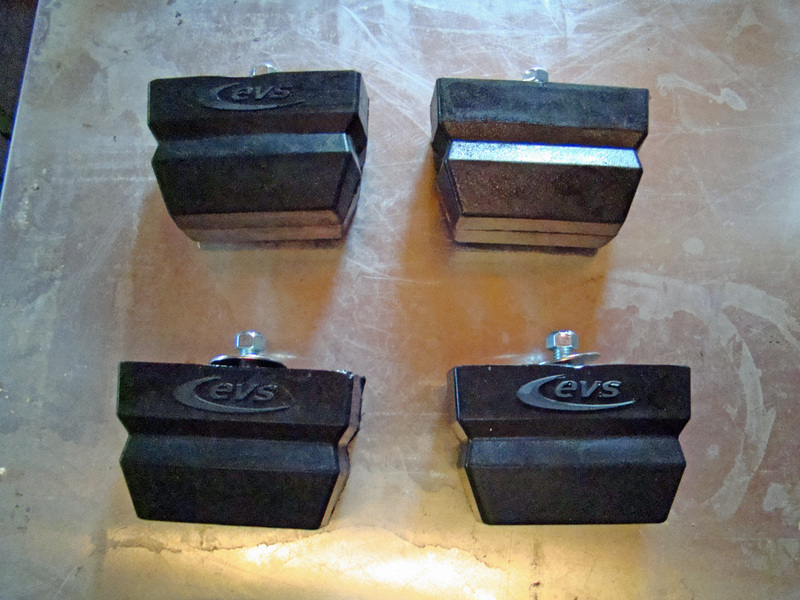 And they come in three weight ratings, regular, heavy duty and extra heavy duty. Everything clamped into place and ready for action! With the factory spring on top of the axle, there is a bracket shown here that clamps to the factory spring to provide the proper torque. If the factory spring is below the axle, no bracket is required. After the camper test, we removed the camper and tested the empty truck. Dirt roads tend to have washboards and potholes this time of year that shake the dust out of your headliner. The SuperSprings took the wheel bounce out of the washboards and the potholes. I didn’t know they would do that. So they do work as a torsion anti-sway stabilizer too. In the spring when the frost comes out of the ground, road damage can sneak up on you where it wasn’t there when you drove to town earlier. I know I get surprised often and I don’t see the potholes as well as I use to even with my tri-focals. 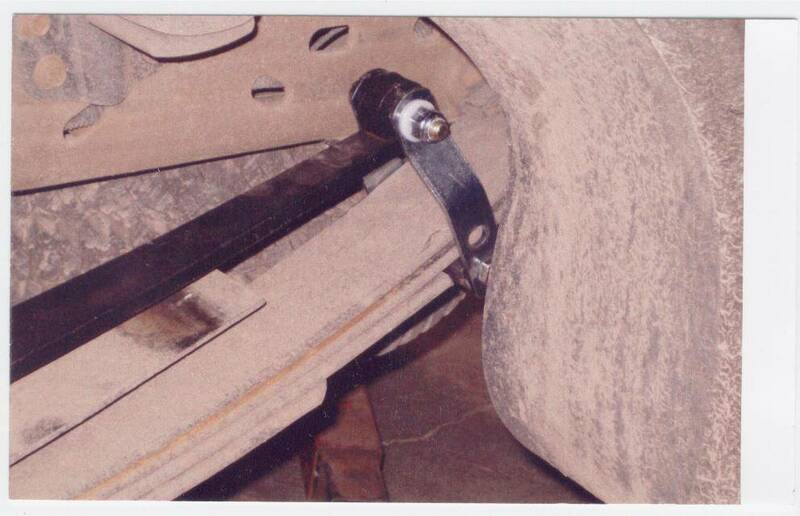 SuperSprings, overload and stabilizing leaf springs, another tool to be safe sharing the road. Update. SuperSprings does increase the rear spring capacity, but not the GVWR, GAWR, bearing or frame capacity. Most modern vehicles at their maximum factory capacity do tend to sag and be unlevel without SuperSprings because of the softer ride (more wheel travel) engineered into the factory suspension. 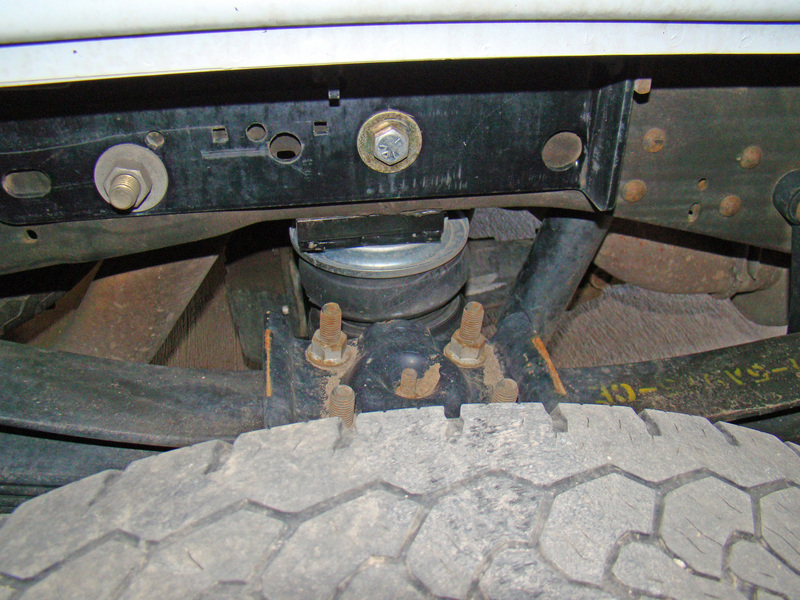 This causes trailer-towing problems too such as to be unlevel with unequal trailer axle weight, and could cause the rear trailer axle brakes to lock up from not enough weight. Both trailer axles with electric brakes, put out the same braking force amps and if one of the axles has less weight, that same pressure can cause it to lock up and drag a bald spot on the trailer tire. A vehicle that has rear sag also has less visibility and we know where the headlights are pointing. 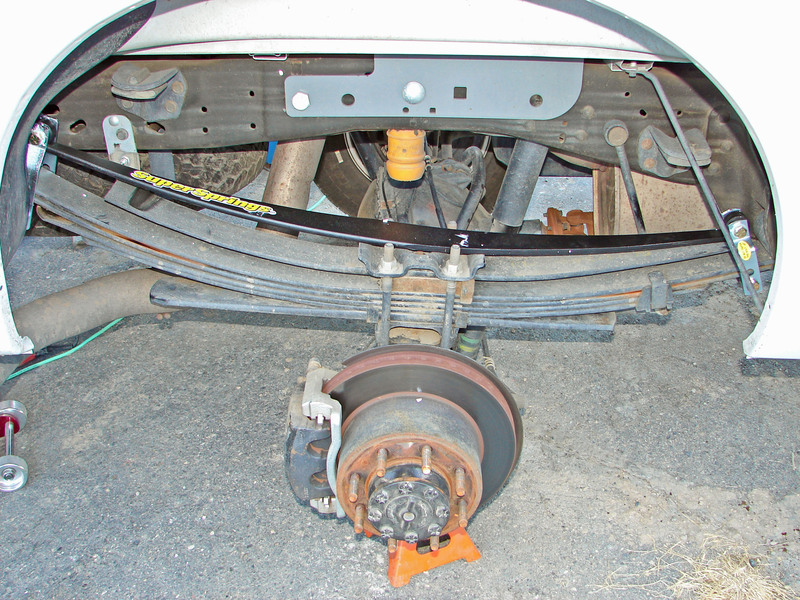 A rear sagging vehicle can have an effect on steering weight, which can cause oversteer. Sport cars have a tight suspension for better control. The same rule applies to loaded pickup trucks, less suspension movement equals stability. Then when the truck is unloaded, SuperSprings allows the factory leaf springs to return to the smooth ride you came to expect in modern heavy duty pickup trucks. In comparing SuperSprings, which adjust to load automatically, and air bags, my experience is they ride better than air bags loaded and empty. I’ve had folks replace other types of overload springs with SuperSprings and I haven’t had a customer yet that returned the springs because they didn’t do the job. On dirt roads, SuperSprings will take the wheel hop out of washboards. They work as a stabilizer as well as an overload spring, which surprised me. Air bags put all their pressure in the middle of the trucks leaf springs, all in one spot above the axle and on the side of the truck frame. 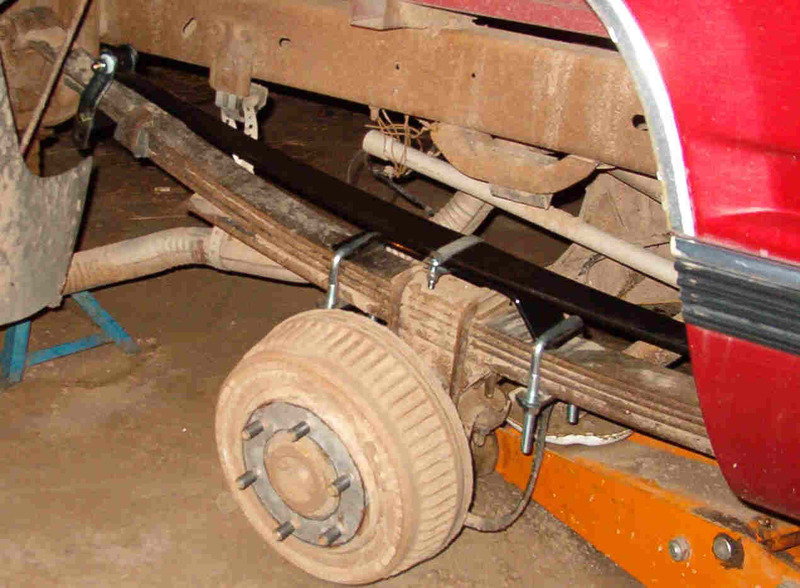 SuperSprings spread the weight to each side of the trucks leaf springs. Each model year brings about another truck and SUV brand that is going to a boxed frame. Some boxed frames are hydro-formed, some not. Either boxed frame is thinner than the old standard C-channel frame. 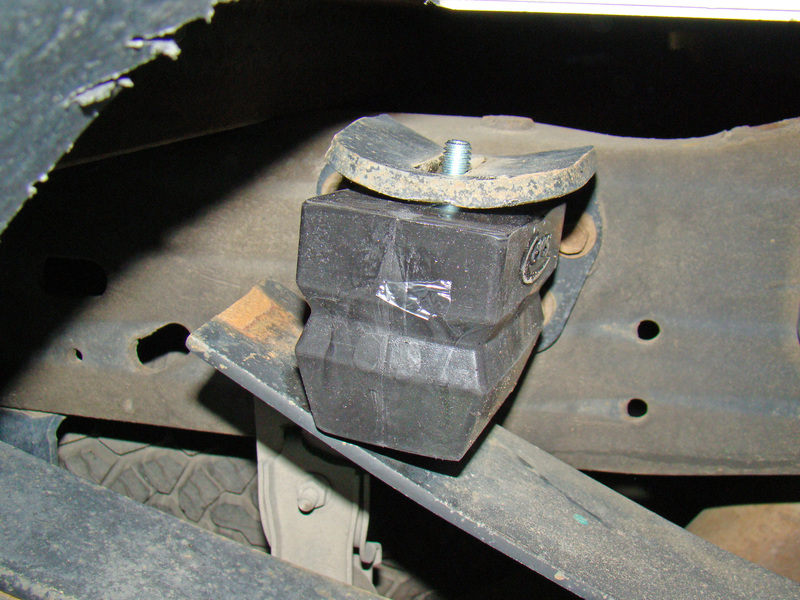 The air bag systems have to change the way they attach to the truck frame with large U-bolts. You can install SuperSprings in less than 30 minutes without taking the wheel off. 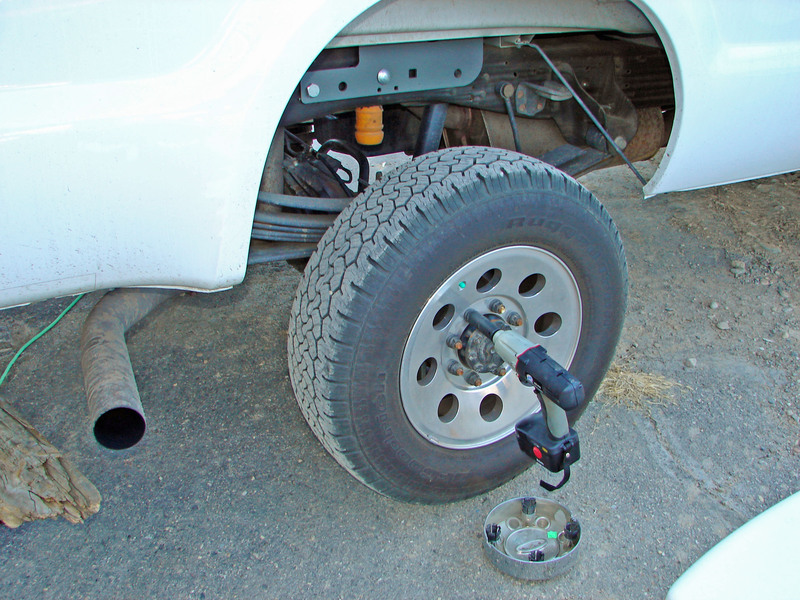 The bottom line is SuperSprings will automatically level out your loaded and empty truck with no need to add an air tank or manually adjust the air pressure. Maintains smooth ride when vehicle is unloaded – unlike rigid helper springs and add-a-leaf systems. Never needs adjusting like “air systems”. progressive suspension on an as-needed basis. The patented dual roller shackle system that attaches the SuperSprings to the factory springs prevents the rigidity and hard ride experienced by other helper systems on the market. Spring Measurements on order page. F250/F350 with “Camper Package” standard on F450/550, some GM 3500’s. “SuperSprings will give you the best support for a load and still have the nice soft factory ride when your truck is empty. SuperSprings is automatic, not leaking air lines or need for a tank. 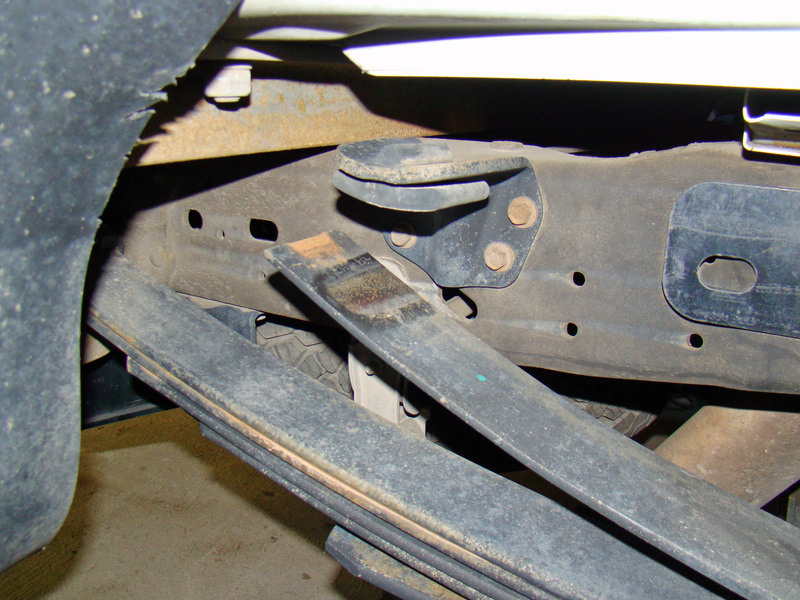 One of the benefits, is the fact that SuperSprings will work as a torsion stabilizer like what a anti-sway bar does. No air bag does that. The longer leaf springs on newer trucks, make the ride softer but also increase the wheel travel and thus sag when loaded and more lean on curves. SuperSprings will control that extra factory spring movement. I like Firestone Ride Rite air bags but they won’t do both, support and improve handling. Which is why I just sell SuperSprings and not Ride Rite or Timbren or Hellwing or…. Thanks”. New from SuperSprings, progressive rear coils for the 1500 Dodge Ram 2009 and newer. Dodge made a big difference in the ride of 1/2 ton trucks in 2009 model year. Soft like a SUV but when loaded with cargo or a trailer, the Ram squatted. Now you can load your 1500 Ram to it’s max capacity. The airless bag to prevent your sag and improve your ride! For trucks with campers, trailers,commercial bodies and all other loads..
Level up front-end sag with a long term maintenance free solution. 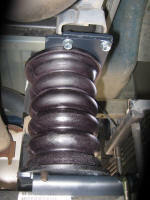 Our coils have a linear/constant spring rate. All coils have been field tested and come with a 30 year proven track record. Product availability – no more custom manufacturing. Well engineered high quality North American product. Installation to be performed by certified technician – shop installation only.